FORT LAUDERDALE-DAVIE, Fla. – Nova Southeastern University’s (NSU) Shepard Broad College of Law received a $1 million grant from The Taft Foundation to establish an innovative clinical program to address the legal needs of adults with intellectual and developmental disabilities (AIDD) and their families. The NSU AIDD Law Clinic will be launched in the fall of 2016 and will begin enrolling third-year students to staff it by January 2017. While the particular fields of representation will vary depending on client needs, the most likely focus areas will be public benefits, housing, and educational rights. NSU’s College of Law will be working closely with the Brooklyn Law School which introduced a similar clinic last spring, also funded by a grant from The Taft Foundation. In addition, the AIDD clinic will provide community outreach through workshops, events, and community training to educate and encourage these adults, their families, service providers, and the general public regarding issues facing the affected population. Prior to his passing in February, 2011, Don Taft was a business leader, philanthropist and a strong supporter of the South Florida community. In 2009, he combined his passion for athletics, helping special needs youth and NSU when he made a generous gift to the university and the Don Taft University Center was named in his honor, becoming the permanent home of the Special Olympics Broward County. The $1 million grant will be distributed in $250,000 increments over four years. The AIDD clinic expands the clinical legal education provided to NSU Law students and service to the Broward County underprivileged community. NSU Law also offers ten additional in-house and field-placement based clinical programs. In addition to opportunities for law students, the NSU Law clinic recently added a Legal Incubator program which partners with newly admitted lawyers to expand their professional training while expanding pro bono legal services to the community. About Nova Southeastern University (NSU): Located in beautiful Fort Lauderdale, Florida, Nova Southeastern University (NSU) is a dynamic research institution dedicated to providing high-quality educational programs at the undergraduate, graduate, and first-professional degree levels. 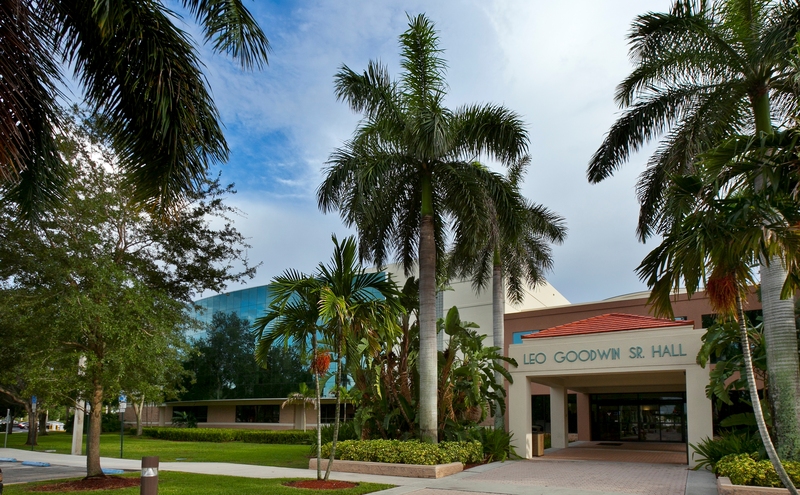 A private, not-for-profit institution with more than 26,000 students, NSU has campuses in Fort Lauderdale, Fort Myers, Jacksonville, Miami, Miramar, Orlando, Palm Beach, and Tampa, Florida, as well as San Juan, Puerto Rico, while maintaining a presence online globally. For more than 50 years, NSU has been awarding degrees in a wide range of fields, while fostering groundbreaking research and an impactful commitment to community. Classified as a research university with “high research activity” by the Carnegie Foundation for the Advancement of Teaching, NSU is 1 of only 37 universities nationwide to also be awarded Carnegie’s Community Engagement Classification, and is also the largest private, not-for-profit institution in the United States that meets the U.S. Department of Education’s criteria as a Hispanic-serving Institution. Please visit www.nova.edu for more information about NSU and realizingpotential.nova.edu for more information on the largest fundraising campaign in NSU history.